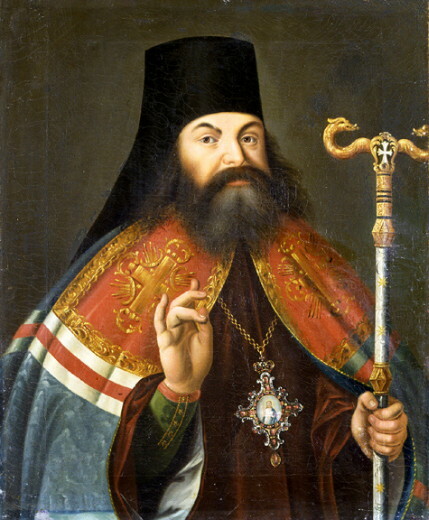 Prokopovych, Teofan [Прокопович, Теофан; Prokopovyč] (secular name: Eleazar), b 18 June 1681 in Kyiv, d 19 September 1736 in Saint Petersburg. Orthodox archbishop, writer, scholar, and philosopher. He graduated from the Kyivan Mohyla Academy in 1696 and continued his education in Lithuania, Poland, and at the Saint Athanasius Greek College in Rome. In 1704 he returned to the Mohyla Academy to teach poetics, rhetoric, philosophy, and theology. He also served as prefect from 1708 and rector in 1711–16. He gained prominence as a writer and as a supporter of Hetman Ivan Mazepa. His most famous work, Vladimir, is dedicated to the hetman, whom he depicted as the figure of the Grand Prince of Kyiv. Prokopovych also praised Mazepa in his sermons and propounded Kyiv as the second Jerusalem. Following Mazepa's unsuccessful revolt against Tsar Peter I in 1709, however, Prokopovych denounced him and expressed his complete allegiance to Peter. He participated in the campaign to vilify Mazepa, calling him ‘the one filled with the Devil's spirit’ and ‘the new Judas.’ From then he became a favorite of Peter's and was rewarded with several promotions. He was called to Saint Petersburg to be a preacher and adviser to the tsar, was consecrated bishop (1718) and then archbishop (1720) of Pskov, was appointed vice-president of the new Holy Synod in 1721, and finally was made archbishop of Novgorod in 1725. In the 1720s Prokopovych played a crucial role in the reform of the Russian Orthodox church. He supported the liquidation of the position of patriarch and the creation of the Holy Synod under the direct authority of the tsar. In 1721 he wrote the Dukhovnyi reglament, a reform statute under which the church was transformed into a state bureaucracy. He was also one of the major theorists of Russian autocracy. These positions brought him into conflict with the traditional church establishment and the boyars, who succeeded in isolating him from Russian political and cultural life after Peter's death. Prokopovych's most notable contribution to Ukrainian literature was the drama Vladimir (1705). Although filled with Old Church Slavonic expressions, it is innovative in its use of dialogue and varied patterns of verse. His other poetic works include a panegyric on the Battle of Poltava in Ukrainian, German, and Latin; various elegies; and other works. He wrote an authoritative textbook on poetics, De arte poetica..., which was influenced more by classical poetics than by prevailing baroque theory. In this he introduced the use of the hexameter and developed the epigram and other poetic forms. After his departure to Saint Petersburg, Prokopovych lost contact with Ukrainian literary development. His subsequent works were all in Russian and often devoted to praising Peter I and his imperial reforms. He wrote many theological works in Latin and Old Church Slavonic. 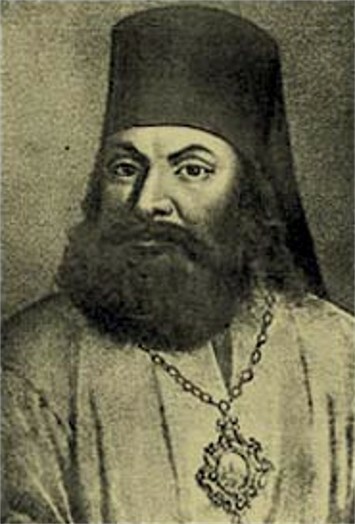 His course notes on theology from the Kyivan Mohyla Academy were published as Christianae orthodoxae theologiae in Academia Kijoviensi (5 vols, 1773–5) and Compendium sacrae orthodoxae theologiae (1802). His theology showed the influence of Protestant theologians and his conscious departure from the Catholic influences that earlier predominated at the academy. His Philosophia peripatetica is a philosophical text that embraces logic, natural philosophy, mathematics, and ethics. In it he set out the ideas of Descartes, Locke, Bacon, Hobbes, and Spinoza and supported the theories of Galileo, Kepler, and Copernicus. He also introduced the teaching of mathematics and geometry into the curriculum of the Kyivan Academy. His text on rhetoric, De arte rhetorica libri X (which appeared in Ukrainian translation as Pro rytorychne mystetstvo, 1979), criticized the baroque style in speeches, sermons, and panegyrics and argued for the dominance of content over form. Most of Prokopovych's historical writings deal with the reign of Peter I. The most important of these is Istoriia imperatora Petra Velikogo ot rozhdeniia ego do Poltavskoi batalii (The History of Emperor Peter the Great from His Birth to the Battle of Poltava, 1788). The most complete collections of his works appeared in 1961 (ed I. Eremin) and in 3 vols in 1979–81 (published in Ukrainian translation by the AN URSR [now NANU]). A bibliography of his works, compiled by J. Cracraft, appeared in Oxford Slavonic Papers (1975).